Trinity Lutheran Church was founded by Danish immigrants who settled in Westbrook, Maine. The first Danish family, Mr. and Mrs. Laust Horlick and their four children, arrived in 1873 followed by a steady influx of immigrants from Denmark. The Horlicks invited other Danish families to their home for worship. Seven sons and daughters of Jannik and Maren Smith migrated to the States and later brought their parents and younger brother to Westbrook. Mads Nielsen arrived in 1875 and that same year married Maren Smith, oldest daughter of Jannik. From 1876 to 1893, pastors from the First Lutheran Church of Portland came to Westbrook and conducted worship services in Danish in people’s homes, nearly every Sunday afternoon. 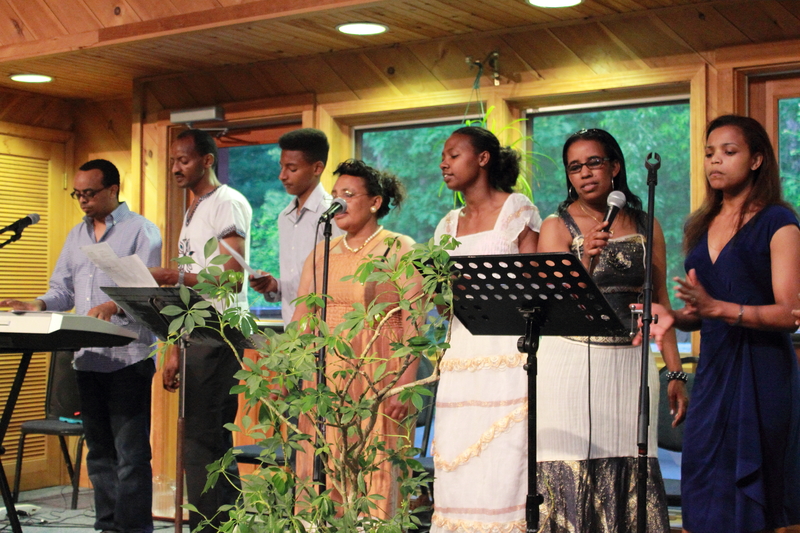 Increased attendance created the need of organizing a congregation. A meeting at the home of Mads Nielsen resulted in the formation of the "First Danish Evangelical Lutheran Church of Westbrook, Maine". The congregation was incorporated on January 20, 1892 and shortly after decided it needed its own church. Using $500 that the Ladies Aid had raised, a lot was purchased on the corner of School and Main Streets. Within a year a church building was erected at a cost of $3,124.87. On January 1, 1893, the church was dedicated by Pastor N.J. Ellestad. In the early part of the 20th century, the church grew, adding 20' to the front of the building, moving the steeple to the side and putting in a balcony. The congregation also purchased the Sullivan House, located adjacent to the church, to use as a parsonage. In the 1920’s changes to the church included the installation of a pipe organ, putting a foundation under the building and finishing the basement for use by the Sunday School. During this time, English services were added and a new constitution was adopted, giving women a right to vote. By the 1940’s, more growth occurred. At the1942 yearly meeting it was voted to hold all worship services in English and to celebrate the congregation's 60th anniversary on November 2, 1942. The chancel was redecorated and a new altar was installed for the occasion. 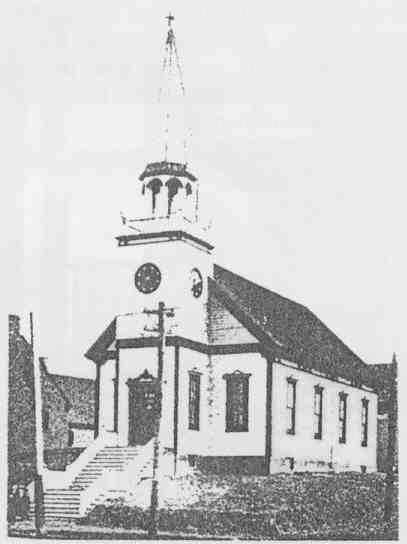 In January, 1943, the name of the congregation was changed to "First Lutheran Church of Westbrook, Maine.” During the war, a Danish merchant ship was held in Portland Harbor. Many of the congregation showed kindnesses to the sailors and as an expression of appreciation they presented the church with a miniature of the ship "Jutta", which was suspended from the ceiling in the nave.is now on display in the front stairwell of the church. In 1946, the congregation changed its name to "Trinity Lutheran Church, Westbrook, Maine". A new Moller pipe organ was dedicated on October 15, 1950. At the 1954 annual meeting a vote was passed to put a 12' wide addition the full length of the church on the School Street side, increasing seating by 80 in the sanctuary and creating three additional Sunday School classrooms in the vestry. Many memorial gifts were received including the art glass windows, altar cross, missal stand, chancel chairs, lectern, pulpit and baptismal font. Many social and cultural changes occurred in the 1960’s and 1970’s. Girls were included as acolytes. 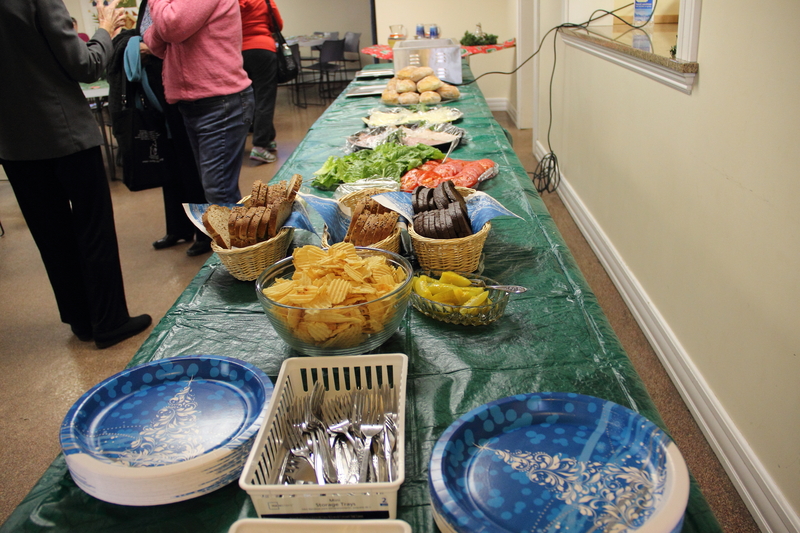 Expanded cooperation happened between area Lutheran churches. In 1978, the new Lutheran Book of Worship was introduced. Outreach activities included resettlement of two refugee families, and direct involvement and financial support of local and church wide activities. In 1962 the ship “Jutta” was placed in a wooden and glass case in the church entry way in order to preserve it. A year long celebration of the congregation's 100th Anniversary, culminated on November 6, 1982, with an Anniversary Banquet and Program. Changes to the church include remodeling the chancel, adding a free standing altar, major repairs to roof and bell tower and redecoration of the interior of the church. In the 1990’s, the biggest accomplishment was the replacement of the old parish house/Sunday School building with a new educational building dedicated on January 2, 1994. The new building and the church were now handicapped accessible. The 125th anniversary of the church was celebrated in 2007 and a new replica of a Danish merchant ship was hung in the Nave. In 2010, the first female pastor was installed. Through the past one hundred and twenty eight years, God has truly blessed our congregation. Seventeen pastors have served us well. Sixteen of our former members have entered the ministry. As we move ahead into the 21st century, we need to meet the new challenges with enthusiasm and vigor. While our accomplishments have been many, we need to find new and meaningful ways to meet the needs of others in society and to share the good news of Jesus. May we continue to bless others as we have been blessed.